10. Dell Chromebook 11 (2015) - $259: With its 2015 version, it’s clear that Dell decided to change up its strategy on Chromebooks. That’s a real shame for those of us who loved the 2014 Dell Chromebook 11, which featured a sleeker design and the high-performing Intel Core i3 processor inside. With this new iteration, Dell has aimed squarely at the education market—and for those purposes, it’s done a pretty good job. Though it’s chunky and has a pretty large footprint for how small the screen is, the Dell Chromebook 11 will be handle being used in a classroom and tossed in bags. It even has a fully waterproof keyboard and trackpad for use in science labs and kitchen. 9. Acer Chromebook 15 C910 - $299: If you’re looking for a bigger Chromebook, the Acer Chromebook 15 is still your best option. The better points about this machine are the specifications (on the $299 configuration, which we recommend): a beautiful 1080p display, great battery life, loud speakers, and impressive performance. The downside is that it’s not exactly a looker. It’s got a huge footprint on the table and is pretty unwieldy all around. 8. Toshiba Chromebook 2 (2014) - $269: This thing is now almost 2 years old, but it's still a really solid Chromebook to pick up, especially now that's got a reduced price. The 2014 version of the Toshiba Chromebook 2 had an HD screen and a nice design, so if you're looking to save some money and still get a quality product, pick this one up. 7. Acer Chromebook C720-2103 - $179: Acer has been a big supporter of Chromebooks for the past couple of years, putting out numerous different Chromebooks each year with different designs, sizes, and configurations. Acer has been putting out its C720 model for years now, but it's always been the king of the budget Chromebook. The new C720 is even cheaper than it was before at just $179, which already shoots it up on the list. It might not have great design or build quality, but for a Chromebook under $200 with an HD screen and decent battery life, it's hard to beat. 6. Asus Flip Chromebook (2015) - $249: If Android apps is what you're looking for, the Asus Flip is the only confirmed Chromebook that can run them at this moment. For that, the Flip gets some extra points on the ranking. It's still got that great metal chassis and that keyboard that feels a bit too tiny, but it's a better buy now than it even was earlier this year. 5. Toshiba Chromebook 2 (2015) - $330: The Toshiba Chromebook has for a long time been my go-to recommendation for Chromebooks. It was affordable, had a nice light design, and even a great HD display. That's why it's hard to believe it's fallen to number five in my ranking, which goes to show how far Chromebooks have come. The late 2015 model, however, doesn't rank quite as high due to the increase in quality of the competition. In addition, this model got a drop in battery life due to the focus on performance, which isn't a great compromise to have. Even still though, the Toshiba Chromebook 2 is a great Chromebook that comes in one of the best-looking packages you'll find. 4. Acer Chromebook R11 (2015) - $279: The Acer R11 is the company's first Chromebook with a 360 degree hinge, meaning in can be flipped to be used in a few different modes. More than that, the R11 is just a really solid Chromebook that is lightweight, portable, and sleek. The HD screen is impressive and vibrant, as well as being touch-friendly. Despite the plastic materials and overly clicky trackpad, it's still one of the very best Chromebooks you can buy right now, especially at this price point and at this size. If only another amazing Chromebook from Acer hadn't just come out, this one would be higher up on this list. 3. Acer Chromebook 14 (2016): The things we expect to see in Chromebook have just kept increasing over the years. First it was HD screens, then it was Intel chips—and now it's better quality materials. This brand new, all-metal Acer Chromebook 14 checks off all of the important boxes that a Chromebook needs with flying colors whether that's the excellent display or impressive battery life. There are only a couple of things that put this below the Dell Chromebook 14. First is the trackpad, which just isn't quite as good as the Dell Chromebook 13's. Second is the size and weight, which feels a little bit clunky compared to others. The need for a Chromebook this large might be what some people want, but a sleek, portable laptop this is not. The big tradeoff you get here is price—and at $299, the Acer Chromebook 14 has a ton of value. If you don't want to spend more than $300 on a Chromebook, the Acer Chromebook 14 is the one for you. 2. Chromebook Pixel (2015) - $1299: When there’s a $800 difference between this machine and the others on this list, it’s hard to really put them in the same category. However, Google is doing something very specific with the Pixel this year that paves the way for the future of the platform. If you still don’t think there’s a market for a high-end laptop with limited functionality, just look at what Apple is doing with its new MacBook. Did we mention that this thing has an awe-inspiring design and one of the best displays we’ve ever seen? Now that $999 isn’t feeling nearly so undeserved. So while for most people we’d recommend something else in this list, the Pixel simply can’t be ignored when it looks, feels, and performs like this. We're still waiting to see if we get an update to the Chromebook Pixel later this year, but if you’ve got the extra dough, it’s hard to beat the Chromebook Pixel. 1. Dell Chromebook (2015) - $429: The Dell Chromebook 13 is at least a hundred dollars more than most Chromebooks—even very excellent Chromebooks like the Acer Chromebook R11 and the Acer Chromebook 14. When we’re talking about inexpensive laptops, I don’t take that one hundred dollars lightly. The Dell Chromebook 13 has the better touchpad, the more premium build quality, and the better design, but for some that still isn’t going to be worth the heavier pricetag. For me, the touchpad and premium build quality alone make it worth the extra cash, elevating the computing experience to well beyond the territory of “cheap laptop." It’s one of the best laptops under $500 ever made and has me more excited for both Dell laptops and Chrome OS than ever before. Until we get an update to this machine late this year, the Dell Chromebook 13 is the best Chromebook money can buy. As it was announced at Google I/O last month, the ability to run Android apps on Chromebooks is slowly being rolled out across products. So far, it’s only made it to the Chromebook Flip, but it should be available on other Chromebooks soon as well. All that to say that Chromebooks are about to get a heck of a lot more helpful and fun to use. 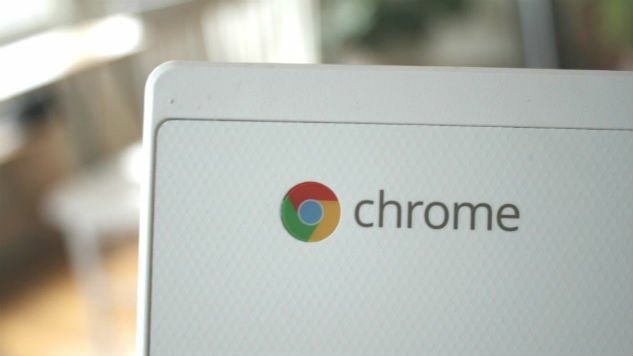 So with that in mind, here is our ranking of the 10 best Chromebooks you can buy right now.